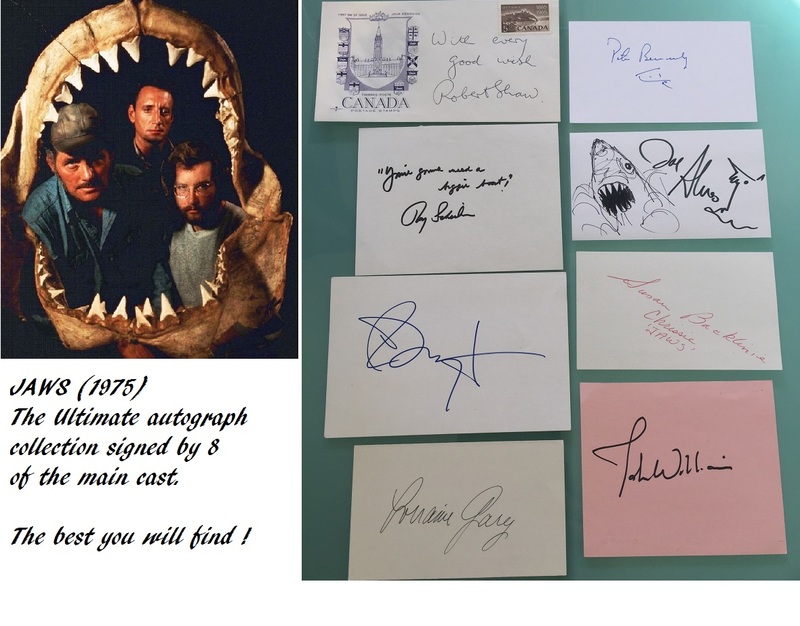 Without doubt the most amazing collection of Jaws autographs we've ever seen for the main cast. For example Roy Scheider has added the iconic quote "Were gonna need a bigger boat !" This collection took many years to put together. 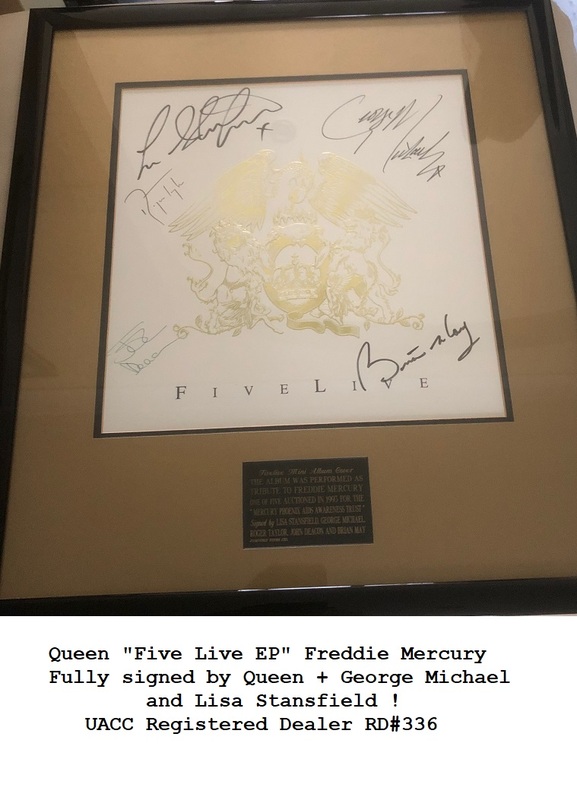 Will look absolutely stunning when matted and framed. Authentic Jaws autographs are also a sound investment, as always in great demand. Comes with a stunning cast photo of the main actors inside the shark teeth ! Susan Backline (Swimmer) - Adds "Chrissie - Jaws"